August 27, 2017 at 7:18 pm. Los Angeles Dodgers ace left-hander Clayton Kershaw will return from the disabled list Friday to start the series opener against the Padres at San Diego, manager Dave Roberts said Sunday. Kershaw has been on the disabled list since July 24 after exiting with a lower back strain the previous day against the Atlanta Braves. The three-time Cy Young Award winner recorded eight strikeouts while allowing one run on two hits in five innings during a rehab start for Triple-A Oklahoma City on Saturday. “Good, it was fun to get back out there,” Kershaw said, per ESPN. “Fun to pitch again. It’s been a long time. 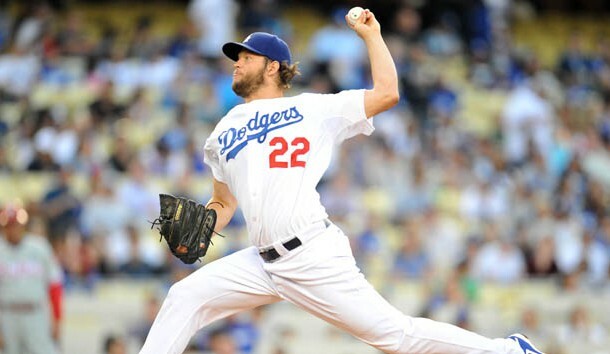 Kershaw sports a 15-2 mark with a 2.04 ERA in 21 starts this season. Dodgers All-Star left-hander Alex Wood (shoulder joint inflammation) is also slated to come off the disabled list in San Diego.